Are you a genius? Are you ready to challenge your memory? We are very happy to introduce the best memory game to train your brain while having fun! 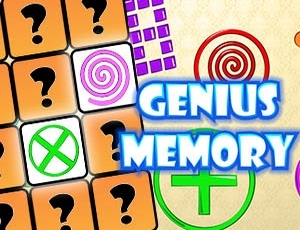 Train your memory with the best memory game: Genius Memory. Cards are laid out in a grid, face down. You must flip two cards. If the two cards are the same, the two cards are removed from the game. The cards are turned back if they are not identical.